Patriotism is under fire in Western Michigan. The OK Conference, representing 50 schools, has announced a crackdown on fans chanting, “USA” at football games. They are also implementing strict rules on flags and political banners. As usual with football-based moonbattery, there is a racial component. 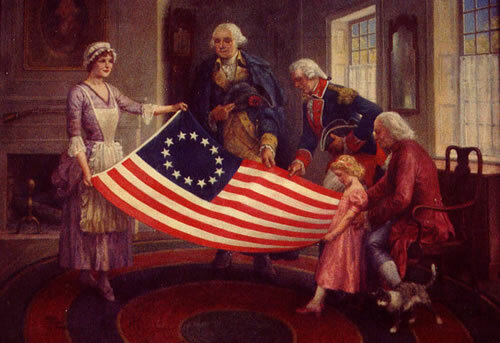 A mainly black school complained when a mainly white school displayed a Betsy Ross flag. American history is racist, as anyone undergoing brainwashing in a public school can tell you. Critics called the flag racist and a local superintendent said it symbolized hate. Love of country has no place on the liberal agenda. Why would it? If you love something, you will resist people who try to destroy it. Now considered to symbolize hate. On tips from Jester and Steve A. Cross-posted at Moonbattery.